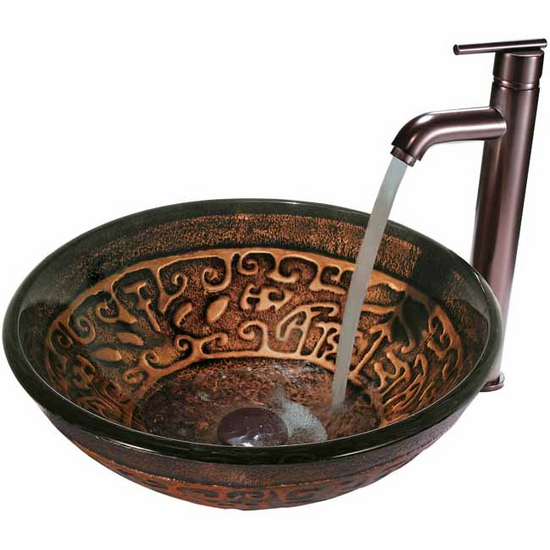 Vigo Copper Mosaic Glass Vessel Sink and Faucet Set is constructed of solid glass. 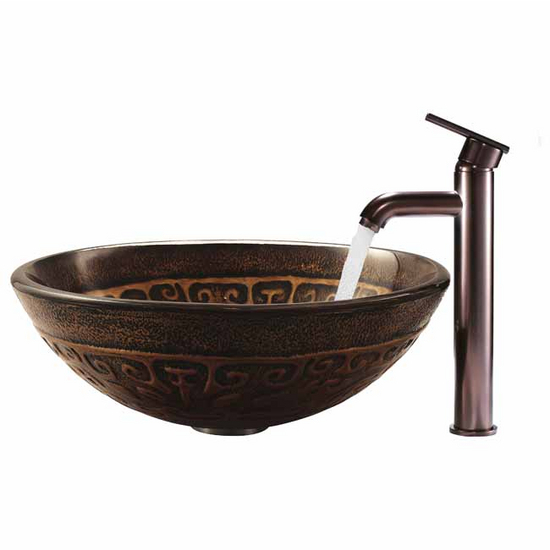 Vessel sink is scratch and stain resistant. 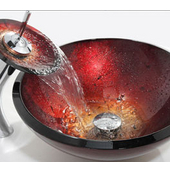 Surface prevents from discoloration and fading and has a polished glass interior with textured exterior. Ships via UPS/FedEx Ground. Faucet is WaterSense Certified.